Shooting at a moving target from a shotgun and a selection of the aiming point. Pre-emption by firing off the leash, personal accounting errors. Considered moving fraction in the vertical plane, shooting accuracy. Graphics, the values pre-emption, the aiming point. Trap-shooting. 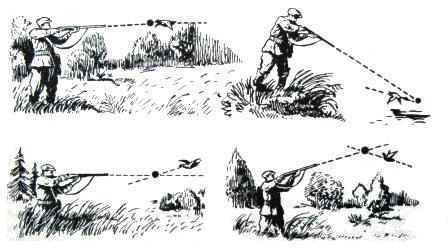 How to shoot a duck. On the hunt, usually have to shoot at a moving target. For novice hunters one of the main causes of misses on this shooting is the wrong choice of pre-emption or shooting without any pre-emption. In the above article briefly describes the method of choice preemption. It is known that when firing at a moving target aiming point should be moved ( to choose ) in front of direction. The distance between the target and the aiming point is called anticipation. Preemption by firing due to the fact that during the time of flight of the fraction to the target, the target is moved a certain distance. 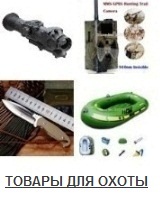 In addition, with the adoption of a hunter shooting solutions to pressing the shutter runs about 0.15-0.35 seconds (the so -called human error ). The value of pre-emption depends on the speed of the target velocity of the projectile ( shot for shot fired from a hunting rifle ), the mode of fire - with a leash or with a stationary gun. When shooting with a leash ( rifle movement and thus moving the aiming point ahead of the target) is eliminated human error and the amount of pre-emption is less. As a rule, most hunters shoot off the leash, if you can make aiming, otherwise vskidku intuitively determining the point of impact. Thus, pre-emption, at a distance of up to 30m and ducks moving perpendicular to the direction of the shot must be taken as 1.60 m Given that the size of the mallard approximately 50cm, the anticipation of the weapon length is 3 ducks ( for ducks taken us speed of 16 m / s ). 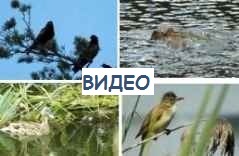 When driving game ( duck ) at an acute angle to the trajectory fraction payment little complicated and depends on the deflection of the angle a. When calculating taken some simplification does not significantly alter the result . 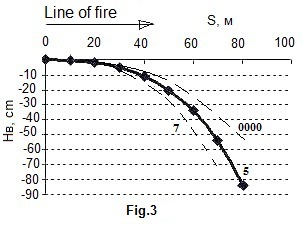 Firing scheme used in the calculation is shown in Figure 1. So - initial distance to a target, l - a target amount of displacement in the direction perpendicular to the flight path during the flight fraction fraction to the initial position of the target level, point B - venue fractions and target point C - position of the target when the shot reaches the p. A (the level of the initial position of the target), Vuu - target velocity component along the direction of the shot ( y-axis ) Vuh - the velocity component perpendicular to the flight path of the fraction (axis X), a - the angle between the direction of flight and droobi target ( duck ). to - the flight of the fraction to the initial position of the target (So = 30 m, to = 0,10 s), Vy - Speed ducks. Figure 2 shows a plot of the magnitude of the angle of pre-emption target motion , built on the basis of the above formula . It is evident that a significant correction of pre-emption must be carried out at angles of about 60 degrees or less ( given the fact that the target is not moving perpendicular to the direction of the shot and reduce the amount of pre-emption ). t - time of flight of the fraction, g - acceleration due to gravity. Figure 3 shows a plot of the amount of movement of the fraction of HB distance flown by it after the shot. The calculations were made for the fraction of the number 5 on the basis of known and calculate the time of flight of such fractions at various distances. 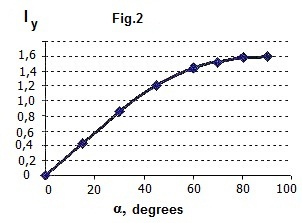 The graph shows that at a distance of 40m displacement reaches 11.3 cm Considered the panning will be different for different numbers fractions (different flight speed ). Sometimes they should be considered to improve accuracy. The figure also shows the approximate path of the fraction number 0000 and number 7. In conclusion, it should be said that the above information is useful for understanding the need to take proactive when firing at a moving target and the presentation of the values of pre-emption. In practice, while hunting is difficult to quickly and accurately determine ( calculate ) the amount of pre-emption, as one and the same game can move at different speeds, different angles, at different distances, there is no time for the calculation of pre-emption. Sufficiently accurate determination of the aiming point comes with experience. The point of aiming at moving targets. Aim-off is greater, the faster and farther the target is moving.